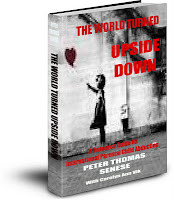 Novelist Peter Thomas Senese was extraordinarily busy with his career until he was unexpectedly forced to race into the unthinkable nightmare known as international parental child abduction. Inspired by the writer's experiences, the novel CHASING THE CYCLONE has been critically hailed as a fast-paced, educational mystery and legal thriller, and Peter Senese as a masterful storyteller. Since this time, the author has become an outspoken advocate of child abduction prevention, and has created an arsenal of tools that have helped at-risk parents. Peter Thomas Senese's novel "Chasing The Cyclone" has been hailed as a masterful international legal thriller that enraptures readers into the dark and incomprehensible world of global parental child abduction. 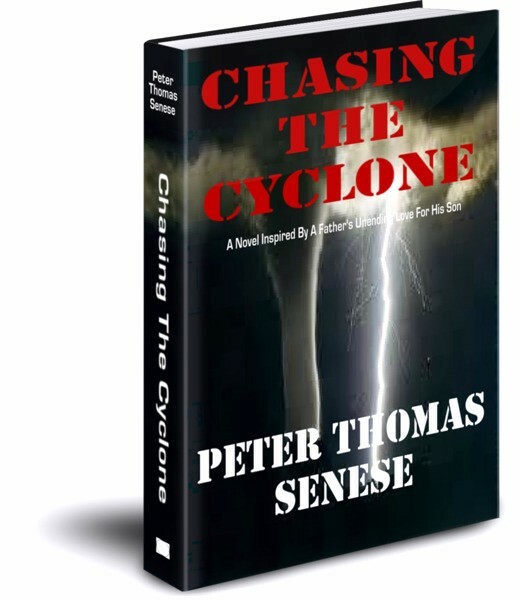 Inspired by the best-selling author's own experiences racing into the storms of child abduction, critics and readers alike have called "Chasing The Cyclone" a Call-To-Arms against this worldwide epidemic, and Peter Thomas Senese as a master storyteller. "Chasing The Cyclone" will be released on December 1st, 2011 in hardcover and is now available via E-book from online merchants. 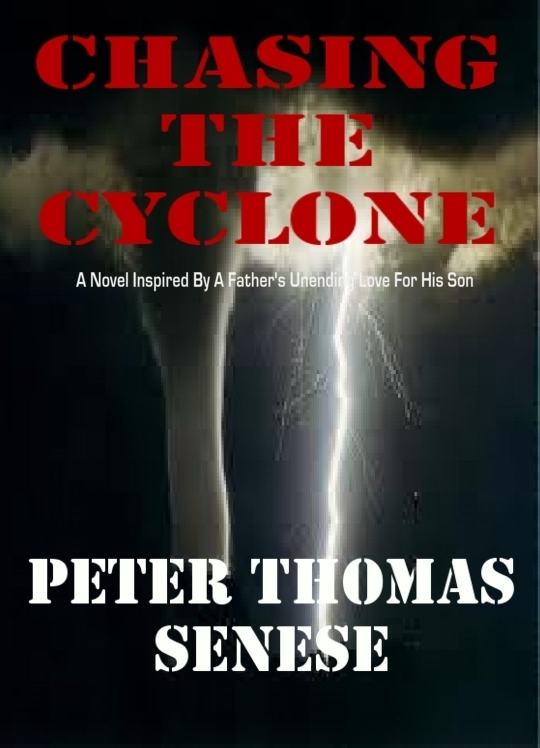 Added Peter Thomas Senese, "Chasing The Cyclone" is an entertaining book that puts the reader on a roller-coaster of emotions - which is most targeted parents of abduction experience. In fact, I have had more than one reviewer write to me and tell me that while in the midst of reading this novel, they actually physically threw the book due to pure frustration over the story's protagonist's unthinkable experiences while fighting to find and reunite with his son, only to immediately pick up the book and continue reading - only to want to throw the book again. But that's just it - for parents who are targets of abduction, many enter into an insane world. So, where the resource guide "The World Turned Upside Down" is a collection or important research reports and published studies, "Chasing The Cyclone" is a novel deeply inspired by and drawn from my own experiences." Critics and readers have praised "Chasing The Cyclone". Patricia Lee, a highly respected international family law attorney practicing international child abduction for nearly 20 years and a Director of the I CARE Foundation (International Parental Child Abduction Research and Education Foundation) stated, "I had the pleasure of meeting Mr. Senese first, not as an acclaimed fiction writer, but as a dedicated child advocate helping victimized parents work through the morass of financial, legal and practical issues in their attempts to reunify with their children. I am humbled by his fierce dedication and support to the I CARE foundation, which portends to be a milestone in the State Department's efforts to recruit and train lawyers in this area of the law in order to better serve targeted children and parents, while also educating an uneducated judiciary. Thank you, Peter for all of your impactful dedication." Joel S. Walter, another Director of the I CARE Foundation and a lawyer who has practiced primarily in the federal courts for 35 years added, "I remember when Peter first became aware of his own child's abduction as I was one of his very first phone calls. His ordeal was unthinkable, and the challenges he faced beyond every parent's nightmare. Yet Peter did everything he needed to do: in essence stopping everything he was doing and dedicated his time and resources toward reuniting with his abducted son, who was taken to the other side of the world. Knowing Peter for as long as I do, and knowing him for the good-natured, generous, and direct man that he is, I was not surprised to see him try to make important changes in the world of abduction prevention so that other parents and children will never have to experience what he and his family have. The I CARE Foundation is actively making a difference for other paents, and Peter Thomas Senese is a very big reason for this." Since the time Mr. Senese was forced to chase the cyclone of child abduction, the established geopolitical novelist has become an active advocate of child abduction prevention, including initiatives to pass new laws such as Florida's "Child Abduction Prevention Act', and to widely utilize existing federal policy in order to protect children from abduction such as the "Prevent Departure Program". 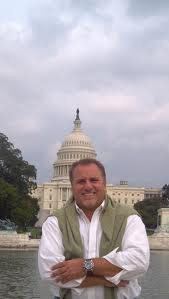 As a Director of the International Child Abduction Research and Education Foundation, Mr. Senese is actively engaged in two new federal policy initiatives: to modify the "Western Hemisphere Travel Initiative" so all American citizens regardless of age would be required to present a passport when traveling abroad by land, sea, or air. 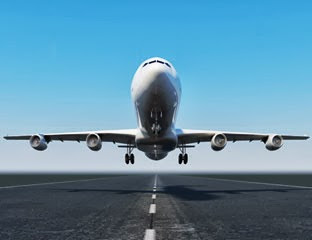 The second initiative, as recommended by the GAO, is to create a secondary airline screening list for individuals possessing American citizenship considered to be high-risk child abductors. In addition, under Mr. Senese's leadership, the I CARE Foundation has commenced a nation-wide recruitment effort seeking attorneys to join the Department of State's "Hague Convention Attorney Network". While the writer has written prolifically about child abduction prevention, including numerous essays and the previous publication of the groundbreaking and extensive IPCA resource guide he co-authored with Carolyn Vlk that was made available for free to the world via E-book, "Chasing The Cyclone" is a deeply personal story. "When I wrote "Chasing The Cyclone" the words flowed onto the pages very easily. My previous novels are based upon heavy research. 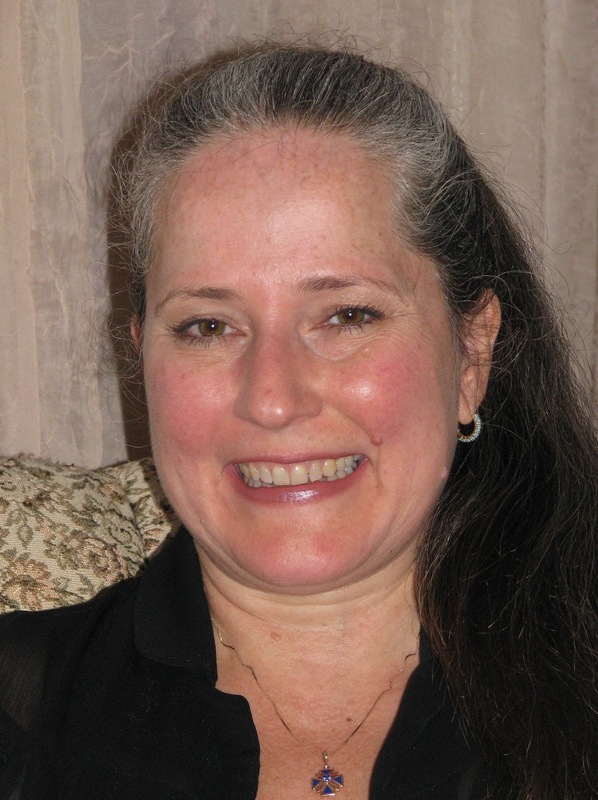 In this story, my research was my life's experiences." Mr. Senese commented on his activism. "For the vast majority of defenseless children and their parents who are targeted for international parental child abduction, they enter a horrific, little-understood world where law and order and justice are fleeting concepts, but typically not reality. Knowing this first-hand, and having successfully navigated this ordeal under the Hague Convention, it was important to me to try to make a difference and help other targeted children and parents. Having a voice as an established storyteller has allowed me to do some of that in both written word, and in creation of the educational documentary film 'Chasing Parents'. Yet there is a great deal of work to be done, and so initiatives continue." Please visit the official website of "Chasing The Cyclone". To learn more about Peter Thomas Senese, please visit the author's official website. Connecticut Law Tribune Supports I CARE Foundation Efforts To Grow Department Of State's "Hague Convention Attorney Network"
The I CARE Foundation along with Patricia M. Lee, Peter Thomas Senese, Joel S. Walter, and Carolyn Ann Vlk have launced a recruitment campaign seeking lawyers to join the Department of State's "Hague Convention Attorney Network" and assist children and their parents targeted for international parental child abduction. A common concern amongst the legal and child abduction prevention advocacy community is that the judiciary is not educated about the complex legal issues concerning international parental child abduction. In order to address this growing and harmful concern, the I CARE Foundation has launched its campaign in hope and anticipation that an educated legal community will make a difference in the fight to protect children from abduction. The following article appeared in the Connecticut Law Tribune and discusses I CARE's activity. Imagine how helpless any parent would feel if his or her child were abducted by an estranged spouse. Now think about how much more horrifying it would be if the child was whisked away to another country. A recent study estimated that between 2009 and 2020, there will be more than 50,000 reports of children involved in custody arrangements being smuggled out of the U.S. The study goes on to say that the number of unreported cases will likely equal or exceed the reported total. What can the other parent do to try to get their child back? Hiring a lawyer might help. But few attorneys are trained to do this sort of work. That’s why a non-profit group called the I CARE Foundation is on the recruiting trail. An agency spokeswoman said Connecticut is among the places where volunteer attorneys are needed because “a large international migratory population” lives in the state. Other “hotbed” states include New York, New Jersey, Texas and California. The cases often fall under the jurisdiction of the Hague Convention on the Civil Aspects of International Child Abduction. The international treaty, signed in the early 1980s, has provisions for punishing the kidnapping parents and returning children to the pre-abduction status quo. In 2008, the Office of Children’s Issues in the U.S. State Department assumed responsibility for all new cases, and for overseeing a network of volunteer attorneys. The government partnered with the I CARE Foundation to recruit lawyers willing to be trained to become part of the Hague Convention Attorney Network. Lee was one of the early enlistees. In one of her memorable cases — a child abducted in Europe had been brought to the U.S.
A Belgian man had married an American woman. They had a child, and then the relationship deteriorated. The wife’s mother lived in Florida; on a visit there with the child, the woman decided to get a divorce and stay. After federal officials found the woman, Lee was contacted. She filed a Hague petition, which can be done in federal or state court. Lee recommends state court, because there is usually less delay. “We had a trial relatively quickly and the judge ruled that the child had to be returned to Belgium,” Lee said. Back in Europe, the couple went ahead with a divorce, and the woman and child were eventually allowed to move to the U.S. But the father was guaranteed parental and visitation rights. In most cases, Lee said, the fleeing parent claims to be a victim of domestic violence. That is not a legitimate excuse for abducting a child. “The Hague Convention assumes the signatories have laws in place to address domestic violence so persons victimized should avail themselves to the laws in the country they live,” said Lee. Lee warned that the longer a parent waits to try to track down the estranged spouse and to file a Hague petition, the tougher it is to regain custody. She said the defense is allowed to present evidence that it is in the child’s best interest to remain in the foreign country if the child is well settled into his or her new environment. Lee had one client who learned the hard way. A U.S. male married a German national who fled back to her homeland with the kids. She filed for divorce there. Meanwhile, the man had hired a family attorney unfamiliar with the Hague Convention who simply initiated divorce proceedings in the U.S. Eventually Lee, who speaks German, became involved when she was asked to translate legal documents. More than a year had gone by and a German court gave the woman sole custody. She had told the German court the father was an abuser who neglected his family. She also had time to convince the children of this, too. Lawyers interested in finding out more about the Hague Convention Attorney Network should visit www.travel.state.gov/childabduction and click “For Attorneys & Judges;” contact HagueConventionAttorneyNetwork@state.gov; or call 202-501-4444. Authors and child advocates Peter Thomas Senese and Carolyn Vlk recently published report on international parental child abduction originating from the United States points to major loopholes in the Western Hemisphere Travel Initiative as a primary reason how American children are illegally removed from the country. 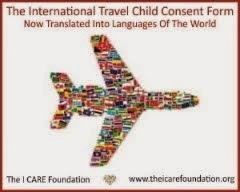 A landmark study conducted by child abduction prevention advocates Carolyn Ann Vlk and Peter Thomas Senese reveals astonishing loopholes in Western Hemisphere Travel Initiative (WHTI) travel documentation requirements for children 16 years old or younger that inadvertently have created substantial opportunities for international parental child abductors and human traffickers who target thousands of U.S. children each year for cross-border abduction. The report is titled “International Child Abduction and Human Trafficking In The Western Hemisphere,” and is contained in the child abduction prevention advocates' recently published resource guide on child abduction titled "The World Turned Upside Down", which has been made available as a free E-book by the authors. The extensive study focuses in part on the limited ground and sea travel documentation requirements needed for children traveling to contiguous nations as defined by the WHTI, including to the two nations that represent the highest concentration of abduction cases to and from the United States: Mexico and Canada, while also focusing on illegal travel to the Caribbean via cruise ship. Under existing United States WHTI policy, a child under 16 years of age traveling by land or by sea to Canada, Mexico, or any number of Caribbean island-nations is required to present as little as a photocopy of their nationalization papers such as a photocopy of a birth certificate. No valid passport is required unless a child is traveling by air. With fraudulent travel documentation being a major issue for the Department of Homeland Security, it is clear that all travel of minors must include use of a valid passport regardless of how travel is conducted. According to the 2010 Report on Compliance with the Hague Convention on the Civil Aspect of International Child Abduction prepared by the U.S. Department of State’s Office of Children’s Issues, there were 1,621 ‘reported’ international parental child abductions originating from the U.S. during 2009. The average growth rate over the past several years is approximately 20% per year. 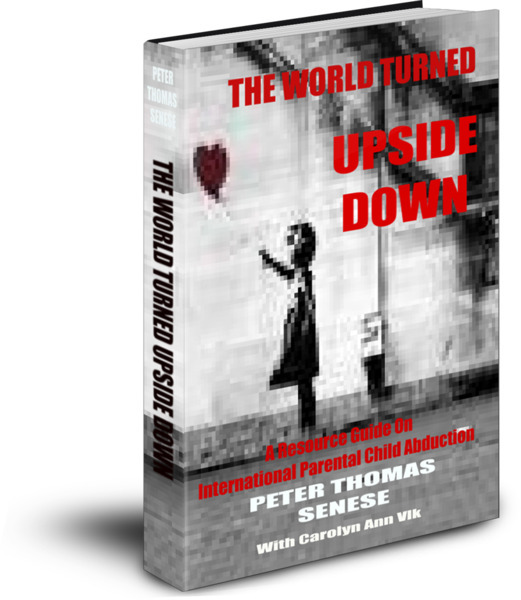 Additionally, the number of ‘unreported’ cases of international child abduction to contiguous nations is believed to be substantial and is discussed in "Crisis in America: International Parental Child Abduction Today" that is included in Peter Senese and Carolyn Vlk's "The World Turned Upside Down." Supporting the concern of the existence of significant ‘unreported’ cases is the most recent National Incidence Study of Missing, Abducted, Runaway and Thrownaway Children (NISMART-2) study, which reports that of the 203,900 children that are estimated to be parentally abducted annually in the U.S., only 28% (56,500) of these abductions were reported to law enforcement. The “International Child Abduction and Human Trafficking In The Western Hemisphere” report has two main objectives: the first goal is to raise awareness of the loopholes traffickers and child abductors may utilize to facilitate their criminal acts of child-stealing so that targeted parents of child abduction, the judiciary and its court officers, law enforcement officials, and policymakers may act to protect children from this hideous type of crime. The second objective is to offer potential solutions through preventative measures and legislative changes that may assist in preventing child abduction and human trafficking as it is uniquely related to current WHTI policy. In addition, the child abduction prevention advocates have recently created a White House petition site urging others to share their voice in seeking to modify the existing WHTI policy so that all U.S. citizens, regardless of age, must travel with a vaild passport. Peter Thomas Senese, the author of the upcoming novel ‘Chasing The Cyclone’ critics have called a ‘Call-To-Arms’ against child-stealing that was inspired by his experience as a father who faced international parental child abduction stated, “The information furnished in our report provides substantial insight on how each year thousands of targeted children of international abduction living in the Western Hemisphere, including a considerable number of defenseless U.S. children-citizens, may be criminally transported across international borders. The loopholes in current government policy that may allow abductors to steal children across international borders are severe. In releasing this comprehensive study and by offering measurable solutions, it is Carolyn Vlk’s and my aspiration to raise awareness so that existing policy may be changed in the name of our children’s best interest." Mr. Senese added, "In the near future, we will be releasing a comprehensive study on the financial cost and financial loss associated with international parental child abduction originating from the United States. Our preliminary findings are shocking, and surely will open up many lawmakers eyes on the exteme financial impact international parental child abduction has on our nation and its economy. All this aside - what we're interested in getting our hands around is rather straight-forward: we want to fully understand how our children are being abducted and what can we do about it. Obviously prevention is key. And that means we must, under all circumstances, modify the WHTI because we're not talking about 1 or 10 or 100 defenseless American child-citizens lives here, we're talking about thousands of children. And this is unacceptable." Costs for targeted American citizen parents associated with an international parental child abduction include but are not limited to extensive legal costs in the United States and abroad (to the country that the child was illegally taken to and/or detained in, costs associated with finding a child if the child's location is unknown or costs associated with hiring private security to monitor the child's whereabouts while legal proceedings take place, and travel related costs associated with a targeted parent's litigation and hopeful reunification abroad. In addition, the financial burden for the courts and law enforcement are also extensive. Best-selling author Peter Thomas Senese stated, "When we consider the growing rate of abduction for reported international child abduction cases and the anticipated growing rate of abduction for unreported international child abduction cases in the Untied States, and then factor in the overall costs associated with an abduction, including factoring in a series of additional factors as will be reported in the upcoming study, the overall financial impact on American citizens over a ten year period will far exceed One Billion dollars." To read more about the “International Child Abduction and Human Trafficking In The Western Hemisphere,” please download a free copy of "The World Turned Upside Down."